Monatstreffen am Freitag, 15. September 2017 um 18 Uhr. We are very honored to have Congresswoman Debbie Dingell as our guest speaker that evening. Fred Hoffman, our German Honorary Consul of Michigan, will also be attending together with Jim Stokes. 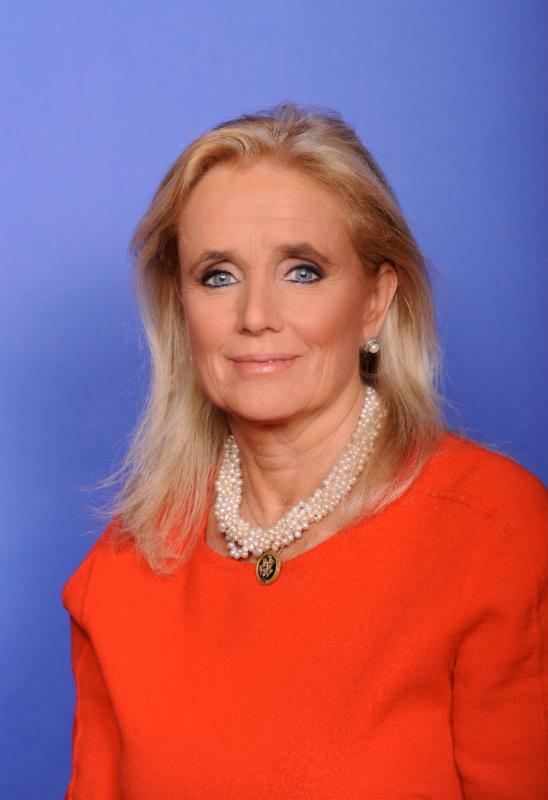 Congresswoman Debbie Dingell represents Michigan’s 12th District in the U.S. House of Representatives, where she has made it a priority to be a voice for the Midwest on issues that matter most to working families. A member of the House Committee on Energy and Commerce, Debbie is a leader on efforts to grow manufacturing, improve access to quality affordable health care, support seniors and veterans and protect the Great Lakes. Recognized as one of the 25 hardest-working Members of Congress, Debbie is focused on forging bipartisan solutions that support Michigan’s working families, including improving long-term care and ushering in the future of the American auto industry. Before being elected to Congress, Debbie worked in the auto industry for more than three decades, where she was President of the General Motors (GM) Foundation and a senior executive responsible for public affairs. She was also Chairman of the Wayne State University (WSU) Board of Governors. An active civic and community leader, Debbie is a recognized national advocate for women and children. She successfully fought to have women included in federally-funded health research, and advocated for greater awareness of issues directly related to women’s health, including breast cancer and women’s heart health. She is a founder and past chair of the National Women’s Health Resource Center and the Children’s Inn at the National Institutes of Health (NIH). Debbie has also led a number of efforts and initiatives related to young people and education stemming from her role as a WSU Governor and co-chair of the Children’s Leadership Council, a business-led advocacy group that promotes investment in early childhood education. She chaired the Michigan Infant Mortality Task Force, the Baby Your Baby public education campaign that reduced infant mortality rates in Michigan, and has served on the board of Michigan’s Children, the only statewide independent voice working to ensure that public policies are made in the best interest of children from cradle to career. Bei Anfahrt aus südwestlicher Richtung ist es ratsam, statt I-696 East die I-96 East (Richtung Detroit) oder 8-Mile Road East zu Telegraph North zu nehmen. Das geht meist schneller und ohne Verkehrsstockungen.